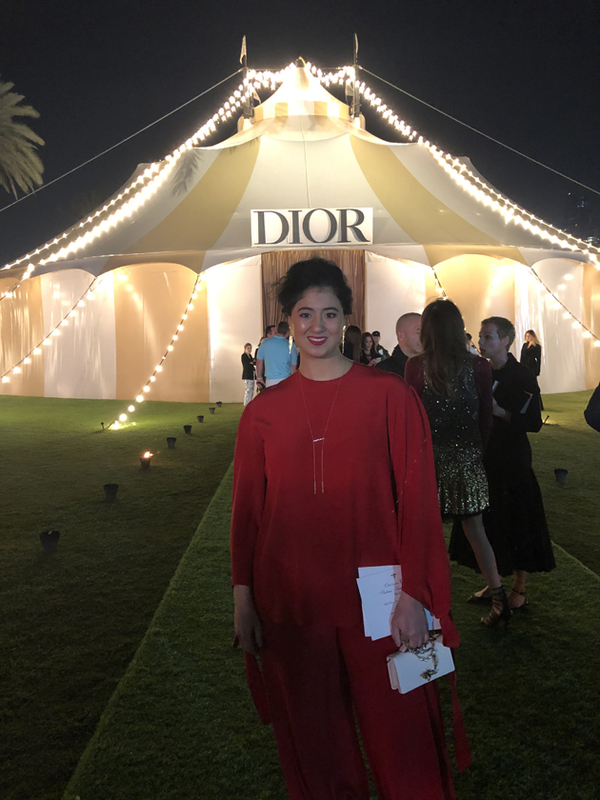 The circus theme is dear to Christian Dior’s heart. In 1950, British television also covered the House’s show at The Savoy in London with a report titled Dior ‘Circus’ Comes To Town. For Maria Grazia Chiuri, this fantastical creative chaos provided the starting point for the spring-summer 2019 haute couture collection. The visual unfurling of the pieces that compose it represents an unleashing of the memory and the image associated with the circus through costumes, fashion, and art, extending and the evocation of Cindy Sherman’s work focusing on clowns. To this dreamlike parade, fifteen entirely new creations have been added especially for the collection’s presentation in Dubai. These fifteen exceptional silhouettes, enhanced by the dazzle of gold, intense reds, and subtle shades of green and lilac, symbolize all the excellence of the savoir-faire in the Dior Ateliers. Pleated skirts shimmer like rainbows, accentuating the celestial magic of the circus even more. And then there are the long, fitted redingotes punctuated with hand-embroidered frogging, and tamer’s jackets — a flamboyant reinterpretation of the iconic Bar jacket. These unique and marvelous creations revisit Dior codes through an eminently feminine contemporary vision. The grace and evocative power of the circus render sublime the “Kingdom of Dreams“, as Christian Dior described the magic of dresses and haute couture in his memoirs. Yusra with Meryem Uwelli and Mona Zaki. © Christian Dior. Cyrine Abdel Nour with her husband Farid Rahme. © Christian Dior. Lana el Sahely. © Christian Dior. Lara Iscandar. © Christian Dior.